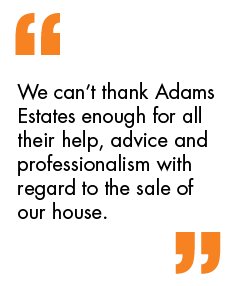 Adams Estates are pleased to offer for sale this modern 4 bedroom detached house with two en suite bedrooms . The property features: Entrance hall with extended fitted kitchen/breakfast, en suite bedroom , lounge / dining room and conservatory 3 first floor bedrooms with en suite to master and 3 piece family bathroom/wc. To the outside there is an enclosed rear garden to the rear, with balck paved driveway for 3 cars. The property is maintained to a high standard throughout and is ready to move into. UPVC construction with double glazed patio doors to the rear and storage heater. Double glazed window to the rear with radiator and built-in wardrobes. Double glazed window to the front with radiator and built-in wardrobes. Three piece suite comprising of a low level wc, wash hand basin with vanity unit and bath with shower over. Part tiled walls, extractor and built-in storage. Double glazed window to the side and chrome radiator.